First, the Torah tells us (15:7), “If there be a pauper among you, one of your brethren, in one of your gateways in your land that God your Lord has given you, do not harden your heart nor close your hand tight against your impoverished brother.” This is clearly telling us to give charity to the poor person. Then the Torah continues, “For you shall surely open your hand to him and provide him with the necessities he is missing.” This seems to call for a higher level of charity not covered by the first commandment. There was once a Jew in Vilna who took a great interest in local history. In the course of his research, he would often go out to the old cemetery and read the inscriptions on the tombstones. He was able to gather a surprising amount of information in this fashion. The man was puzzled. First of all, he had never seen an inscription shared by two tombstones. Second, inscriptions from Eishes Chayil were used almost exclusively for women. There was obviously a story behind all this, and by all appearances, an interesting story. The man sought out one of the oldest men in the Vilna community and asked him about the inscription. The old man indeed had a story to tell. These two brothers were Torah scholars of the highest order, and they were also wealthy and extremely generous in their charities. They were much respected and admired in the community. Suddenly, their fortunes took a turn for the worse. Some of their businesses failed. Their investments stagnated. People began to wonder and whisper. Why would such a thing happen to such sterling people? “But how?” said the second judge. The Rabbinical Court questioned the brothers for hours and discovered only one instance of wrongdoing. The Halachah demands (Kesubos 50a) that a person should not give away more than a fifth of his wealth to charity, but the brothers often exceeded this limit. Their only crime was that they gave too much charity! What was to be done about this? The Rabbinical Court decided that the brothers could not be trusted to stay within the prescribed limits. Therefore, they themselves took control of the finances and decreed that anyone approaching the brothers for charitable donations should come to the Rabbinical Court’s appointed administrator of the brothers’ accounts. The poor appeared on the doorstep of the brothers, and they duly directed them to the court-appointed administrator of their accounts. The brothers’ hearts melted, but what could they do? They didn’t have control of their money. So they began to give away the silver in their cabinets to the poor. 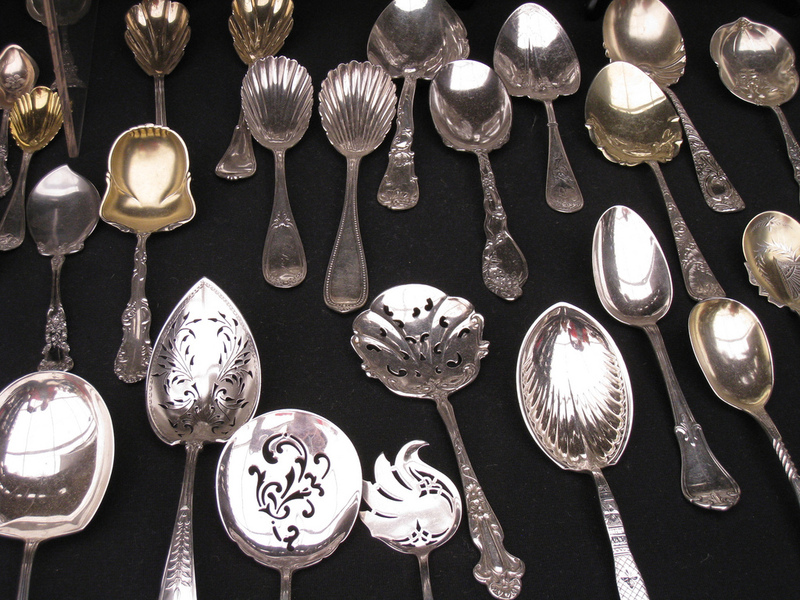 Eventually, this trove was also depleted, and they were left with one silver spoon between them. The next day, when a beggar approached each of the brothers, they broke the last spoon in half. One took the spoon part and gave it to a beggar, and the other took the handle and gave it to a beggar. This wonderful act of charity was memorialized on their tombstones, relying on a wordplay. The beginning of the verse, “She extended her palm (kappah) to the poor” – kappah also meaning “her spoon” – appeared on the first tombstone. The completion of the verse, “And she stretched out her hand (yadeha) to the pauper” – yadeha also meaning “her handle” – appeared on the other. This is an example of “opening the hand” of the highest order.